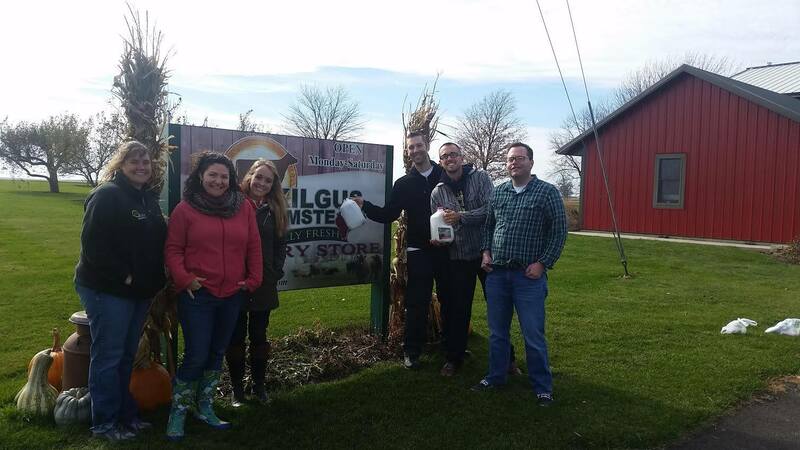 The Big Grove Tavern staff had the opportunity to visit the Kilgus Farmstead (Fairbury, Illinois) this week. We source our milk, cream and ground beef from them. 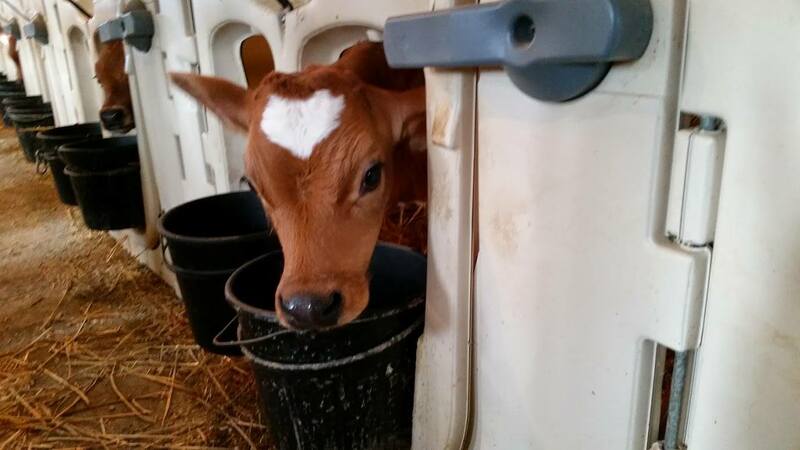 This family run farm houses 150 Jersey cows who are milked two times a day for their delicious milk and cream. 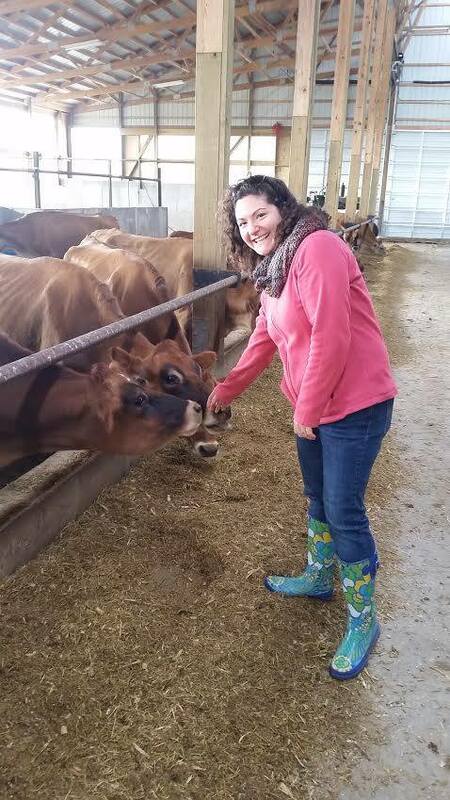 Jenna, our wonderful tour guide, informed us that as a breed, Jersey cows give less milk than their black and white counterparts, but their milk is highly prized by cheese makers, chefs, and others because of its increased protein and calcium levels. Upon our arrival we watched the milk bottling session for the day. We witnessed the gallons of milk being bottled that were to be delivered to our restaurant the following morning. It doesn’t get much fresher than that! In the milking room where cows are milked 2 times every day. 365 days a year! 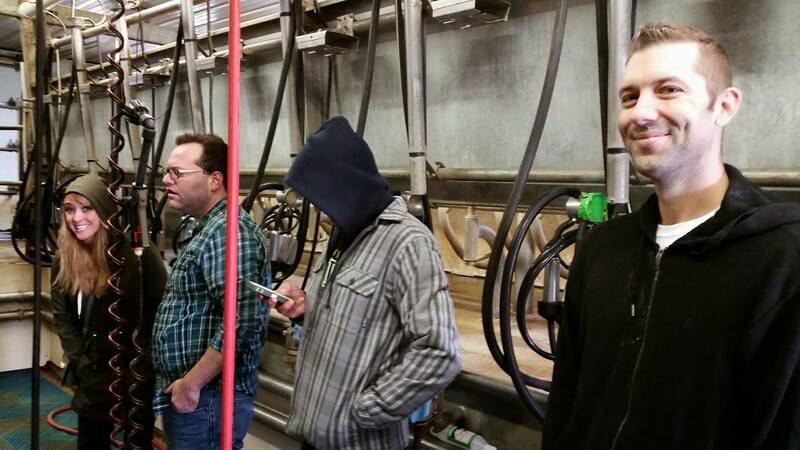 We learned that Kilgus cows are on pasture starting in April and enjoy the pasture grass until November. During the winter months the cows are fed a ration of non-GMO corn silage that is grown on the Kilgus farm. 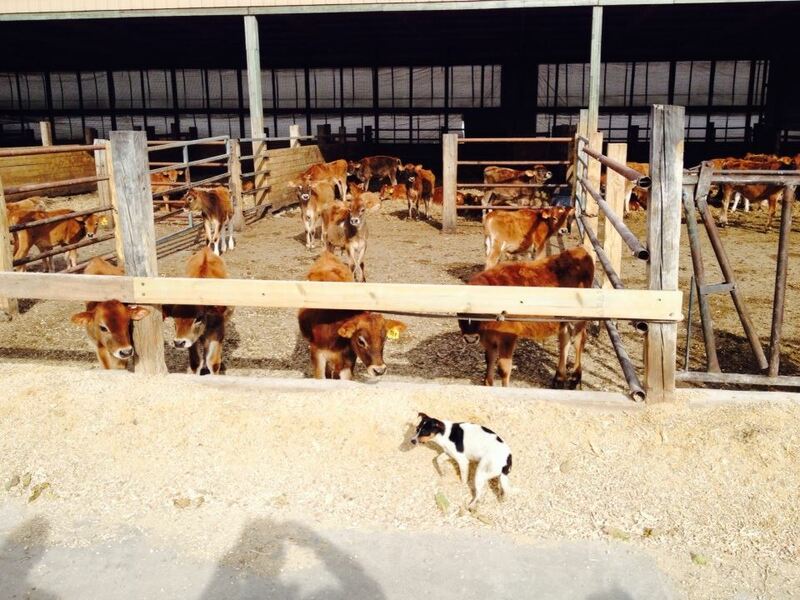 Kilgus also is the home to pigs, goats and a few farm dogs! 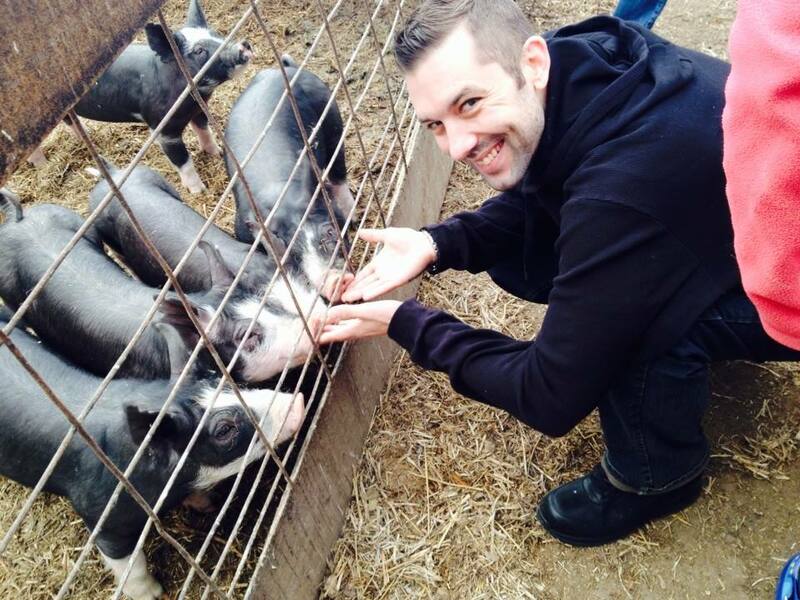 If you eat at Chicago’s Girl and the Goat, The Little Goat or Frontera Grill, the goat comes from Kilgus Farmstead! The Big Grove Staff after an awesome tour of the farm & loaded up with local goodies. After our tour we enjoyed a lovely lunch at Fairbury’s own Lost in Time restaurant where they source their ingredients locally and make their dishes from scratch!